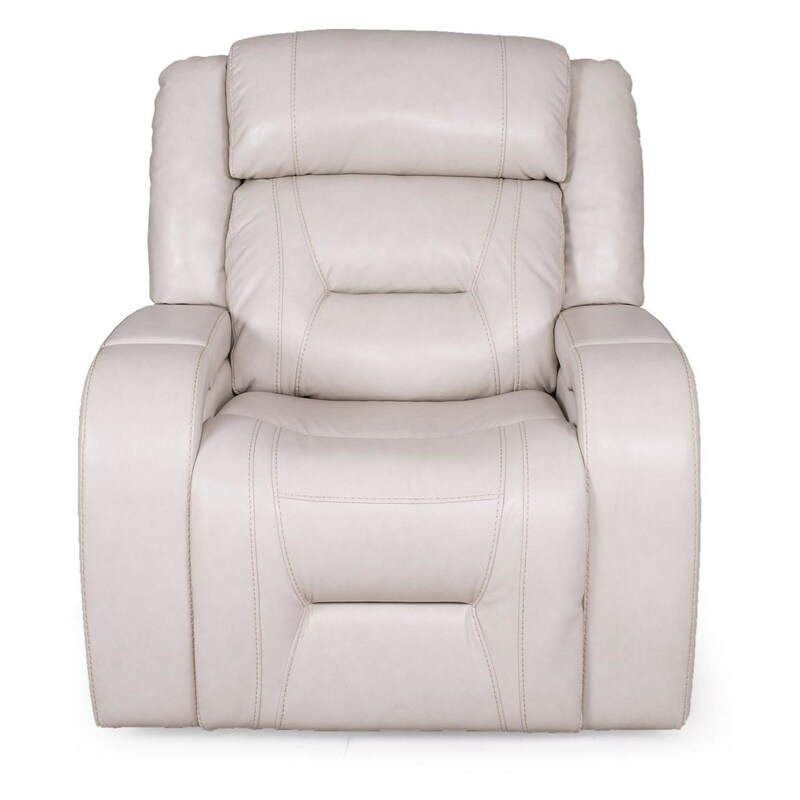 Complete your family room, living room, or home movie theater with this power recliner. The wall-saver recliner is packed with fun features, including LED base lighting, built-in storage, a USB port, and a power reclining headrest and footrest. Track arms and clean lines give it a streamlined design for a modern look. The 1695 Wall Saver Power Headrest Recliner with LED Lighting by Sarah Randolph Designs at Virginia Furniture Market in the Rocky Mount, Roanoke, Lynchburg, Christiansburg, Blacksburg, Virginia area. Product availability may vary. Contact us for the most current availability on this product. Arm Track arms with built-in storage. Browse other items in the 1695 collection from Virginia Furniture Market in the Rocky Mount, Roanoke, Lynchburg, Christiansburg, Blacksburg, Virginia area.